We offer multiple opportunities for our youth to gather in prayer, fellowship, and service! Events are scheduled throughout the program year. All high school students are invited to attend, and we frequently include our middle school Confirmation students in these events as well. Our goal is to create a safe and nurturing space for our youth to explore and begin their journey in a community of faith, and to see how God is working in their lives. 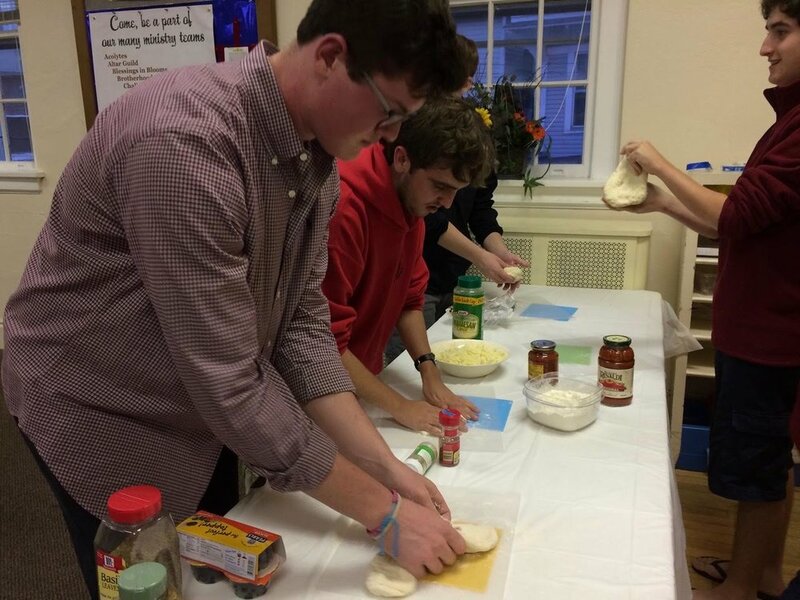 This year our youth group is partnering with Garden State MOSAIC, an interfaith program that encourages participants of a variety of faiths to learn and collaborate with each other in a faith-based environment. We also participate in several events through the Diocese of New Jersey's Youth Ministry. The youth at St. Peter's actively participate in the life of the parish. We are involved as ushers, lectors, and acolytes, and we sing and play in the music ministries. We also serve our church and community through a variety of service projects, such as Adopt-a-Family and Crop Walk. We also engage in learning and prayer. We are exploring small-group Bible study, and focus on living out our Baptismal and Confirmation vows. We also have a lot of fun as a group, and fellowship with each other, our congregation, and our community feeds our work and lightens our hearts. Garden State MOSAIC was featured in an article in the Asbury Park Press!